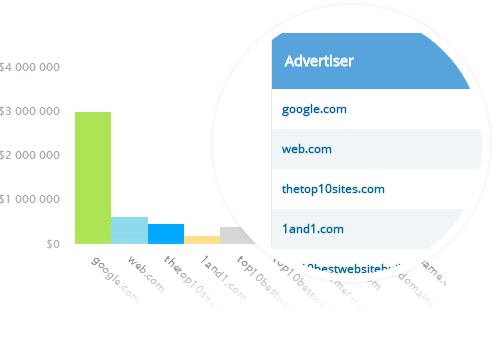 iSpionage identifies your top AdWords competitors and reveals their approximate monthly budget and entire PPC strategy. You can use this information to tune out the noise, identify the true top advertisers in your space and learn from the best in your industry. 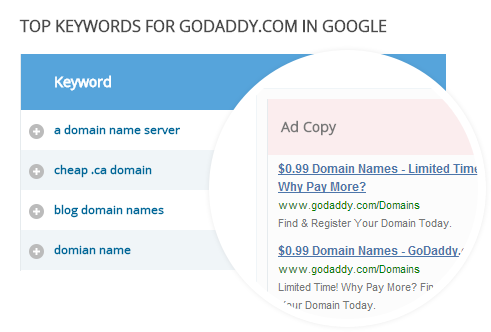 iSpionage gives you access to a complete list of AdWords competitor keywords. 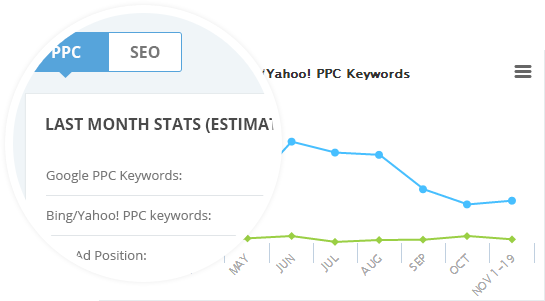 You can sort the list to find the most effective keywords with our proprietary Keyword Effectiveness Index (KEI) and add the most profitable keywords with the highest search volume to your campaign. Improving the click through rate is critical for every campaign’s success. 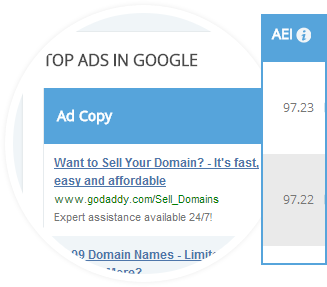 iSpionage helps by identifying competitors' profitable ad copy using our AEI (Ad Effectiveness Index) algorithm. You can study the ads to create offers and write ads that stand out and get higher click through rate. Not only do we have incredibly valuable competitor PPC data, but we also save a list of all of your competitors’ SEO terms so you know exactly which ones they’re ranking for and what the SEO value is for their organic search traffic. 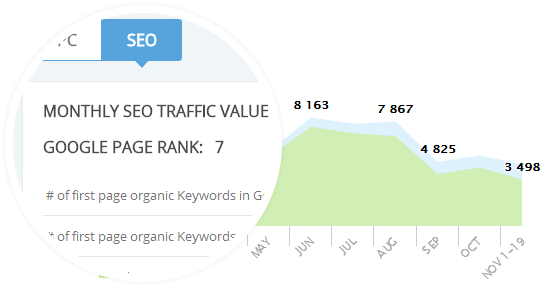 You can use this data to improve your own SEO efforts and to help decide which terms you should be focusing on and which ones are relevant for your business. With iSpionage you’ll wow your prospects with unparalleled insights for your prospect’s industry and vertical. You can download branded PDF competitor reports to beef up proposals and show how much you know about your prospect’s industry. Our customers have improved close rates as much as 25% with iSpionage competitive data and reports.